The perfect accessory for a little white dress. 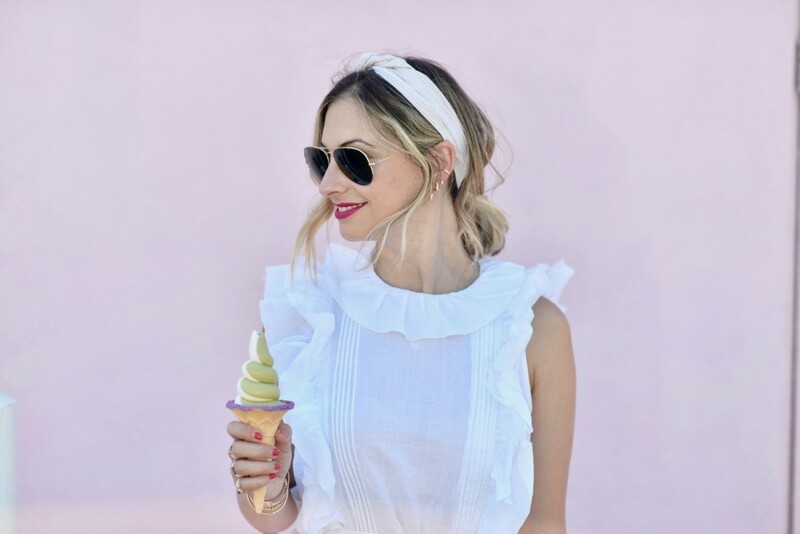 When I can&apos;t decide on what to wear in any other season, I usually rely on a flowy, white blouse with jeans, so it&apos;s no surprise that my summertime go-to will be a flowy blouse, in dress form. 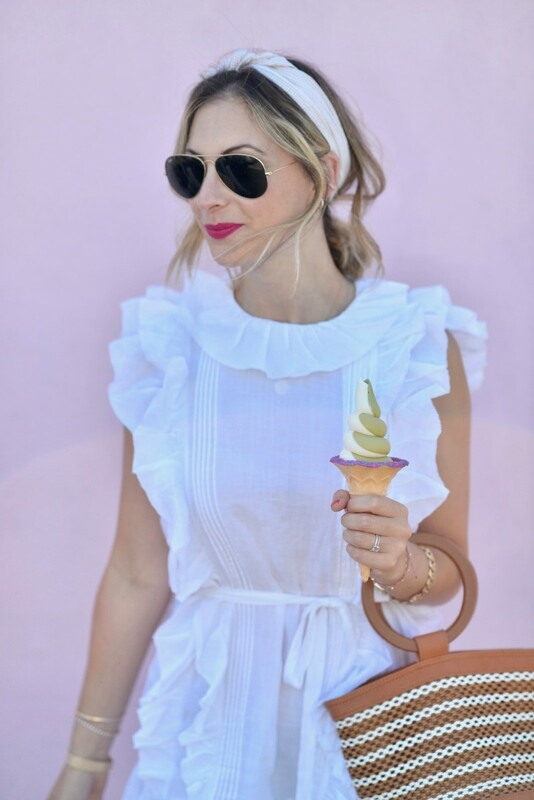 Somehow, dressing in cool colors gives the effect of feeling cooler as well, so neutral accessories like a head scarf and woven mules and tote make the perfect finishing touches alongside the best accessory of all: soft serve ice cream.